2006 Postdoctorate, Human Development/Family Studies, Virginia Tech University. 1999 PhD, Clothing & Textiles/Social Psychology (Interdisciplinary with Human Development and Teaching & Learning), Virginia Tech University. 1998 MS, Apparel Design & Product Analysis, Virginia Tech University. Research focus: Design Process & Human Creativity. 1977 BA, Music Education, Voice/choral, Harding University. 1974 AA, Music education, Voice, Freed-Hardeman University. 2002-present. Textile Artist/Educator, Private studio. 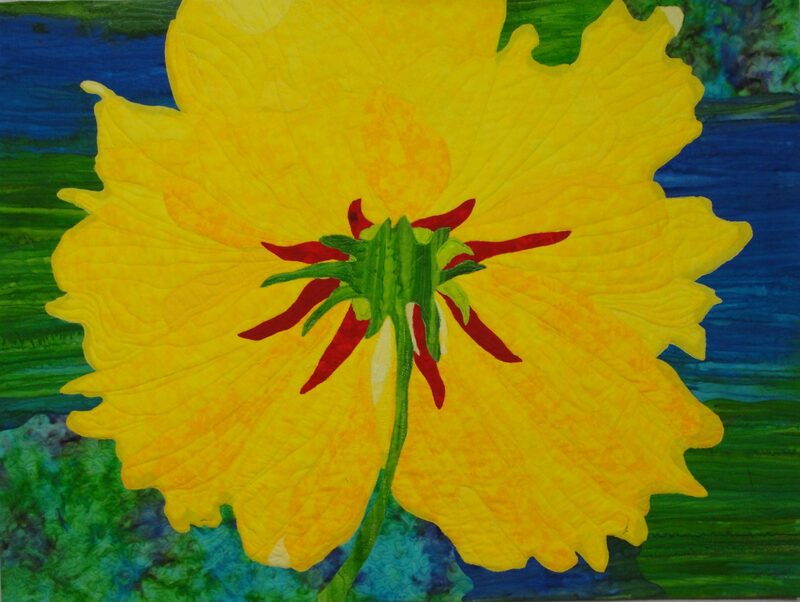 Creation of textile art: mixed media, art quilts, and artwear. Developer of Lifeweavings: A Creative Journey seminar. 2003-present. Educator, PhD, CFLE, Human Development/Family Studies, Self-employed. Developer of Creative Parenting seminar and Lifeweavings: A Creative Journey seminar. 2006-2008. Adjunct Professor-Apparel Design, Department of Apparel, Housing & Financial Management, Virginia Tech University, Blacksburg, VA. Advanced Apparel Assembly and Apparel Structure & Fit. 2006. Adjunct Professor, Department of Human Development/Family Studies, Virginia Tech University, Blacksburg, VA. Individual & Family Risk and Resilience. 2001-2002. Assistant Professor, Department of Family and Consumer Sciences, Abilene Christian University, Abilene, TX. Professions in FCS, Basic Apparel Construction, Basic Textiles, Internship in Fashion Merchandising/Retail Math, and Clothing Selection and Management. 1996-1998. Graduate Assistant/Teaching Assistant, Virginia Tech University, Blacksburg, VA. Introduction to the Fashion Industry and Design Appreciation. 1977-1998. Independent Music Teacher, Teacher of Voice, Piano, and Music Theory; Private studio teaching, students ages 4-adult. Certified Family Life Educator, CFLE–Provisional. National Council of Family Relations. (2007—2012). Nationally Certified Teacher of Music, NCTM, (1984-Present) Permanent Professional certificate, (1999). Music Teachers National Association. Teacher Certification, State of Virginia. Music education—K-12. (1993-1998). SAQA, Studio Art Quilt Associates, (2005-present). NCFR, National Council of Family Relations, (2000-present). MTNA, Music Teachers National Association, (1983-present). ITAA, International Textiles and Apparel Association, (1997-2008). NEGS, Near Environments Graduate Students Association, (1999). CTGA, Clothing & Textiles Graduate Association, (1996-1998). Phi Kappa Phi, (1997-present)—Honor Society, interdisciplinary, university-wide. Kappa Omicron Nu, (1996-2010)—Honor Society in field of Family & Consumer Sciences. Mary Margaret Barry Award, (1998)—Graduate scholarship presented by the Virginia Association of Family and Consumer Sciences. Design Consortium, (Spring 1996)—Weekend-long, interdisciplinary team design project and competition. 2015 A Different Perspective, Juried Exhibit, Sacred Threads 2015, July 10-26, Herndon, VA.
2014 Lifeweavings: A Creative Journey, Solo Exhibit, Wallace Hall Gallery, Sept. 12-26, 2014, Virginia Tech, Blacksburg, VA.
2014 Lifeweavings: A Creative Journey, Solo Exhibit, Blacksburg ArtWalk, Feb. 7-April 26, 2014, Eucalyptus Massage Center Gallery, Blacksburg, VA.
2006 Sea Images #1 and Metalworks #2, Postcard art quilts, June, 2006. SAQA Member Invitational, Mary Beth Bellah, curator, Artisans Center of Virginia, Waynesboro, VA.
2003 Human Diversity and the Common Thread, Art quilt, Juried Design, February, 2003, Mid-Atlantic Quilt Festival Competition, Williamsburg, VA.
2001 Asian Whisper, 1st Place Amateur Entry in the Full Ensemble category, Wearable Art, Juried Design, February 22-25, 2001 Mid-Atlantic Wearable Art Festival VII Competition, Williamsburg, VA.
1996 Black Satin Nights, Best in Show Design/Graduate, Department of Clothing & Textiles, Virginia Tech, Blacksburg, VA.
1992 Blacksburg Antique ShowSale & Quilt Show, 3rd place, Novelty Division, Dense-quilted jacket, Blacksburg, VA.
1991 Blacksburg Antique ShowSale & Quilt Show, 2nd place, Novelty Division, Dense-quilted jacket, Blacksburg, VA.
Beach, J. L., Kincade, D. H., & Schofield-Tomschin, S. (2005). Human complexity: Development of a theoretical framework for the clothing and textile’s field. Clothing and Textiles Research Journal, 23(1). Beach, J. L., & Kincade, D. H. (2003). Just a straight stitch. ITAA Proceedings, 60. –ITAA Conference, November 2003. Description of poster presentation on a Creative Teaching Idea. Student’s design and assemble a strip-pieced quilt block. Beach, J. L., & Kincade, D. H. (2000). A grounded theory study of systems theory and clothing and textiles theories for the development of a theoretical framework, ITAA Proceedings, 57. –ITAA Conference, November 2000.